Buying a used 4×4 can be a harrowing experience even at the best of times, but because of the nature of the beast, finding a good used 4×4 or 4WD vehicle for sale can be really challenging. Most owners of real off-road vehicles use them in extremely tough conditions, in Africa especially, and while the market in South Africa is flooded with used 4WD vehicles, finding a reasonably well maintained and trustworthy vehicle might be more than a little difficult. This is not to say that good, reliable vehicles are not available: of course, there are many and the only real limits are a buyers’ disposable budget, and perhaps the intended use to which he is most likely to put the vehicle. Although the decision which used 4WD vehicle to buy, and which to avoid, might not be too difficult for experienced off-road drivers who generally possess some knowledge on the mechanics of 4×4 vehicles, the novice or inexperienced driver might be tempted to grab the first “good” offer that comes along. Therefore, for the benefit of drivers that are new to the off-road universe, this article is a checklist of what to be on the lookout for, and what to avoid, when shopping around for a used 4×4 vehicle, since the caveat, “let the buyer beware!” is perhaps more relevant to used 4×4 vehicles than to anything else. Apart from the fact that the engine should start with no trouble at all, excessive smoke (white or black) from a diesel, and white, black, or blue smoke from a petrol engine invariably means trouble. Worn rings, worn valve stem seals, leaking diesel injectors, a blown turbo charger, leaking valves, worn cylinders, and other issues are all possibilities; and all are very expensive to repair. Unless the intention is to replace the engine in any case, avoid this used 4×4 vehicle. There is no such thing as a perfect turbo on a used off-road vehicle: all used turbos have some oil seepage past the shaft seals, and while this is not necessarily a major problem, there should be no liquid oil anywhere in the inlet tract leading from the turbo. A slight oiliness on the inside walls of the ducting is acceptable, however, if the ducting has liquid oil anywhere the turbo leaks oil to an excessive degree, or if there is no trace of oil vapour, the liquid oil might have been washed out by the seller to hide the damaged turbo. Too much oil or no oil at all is invariably a sign of a damaged turbo. To an untrained ear, the normal combustion sounds of a diesel engine may sound like mechanical trouble, however, diagnosing or identifying engine noises can be a daunting task, even for experienced mechanics. 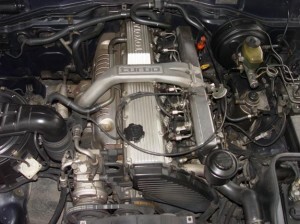 Nevertheless, if the seller has nothing to hide, there should be no objection to having the engine inspected and listened to by a third party. If there is the slightest doubt about the mechanical soundness of the engine, insist on having it inspected by knowledgeable mechanics. Although modern engines are relatively leak proof, oil leaks do occur and if left unfixed, can potentially cause engine failure. However, most engines accumulate a patina of oil vapour, dust and grime and this is normal, but what is abnormal, is for the engine in a used 4×4 vehicle to have the appearance of having just being installed. If the engine appears to be too clean in comparison with the rest of the vehicle, chances are the seller is attempting to hide serious oil leaks. Approach this off-road vehicle with extreme caution. All engine oil turns black, even seconds after an oil change: what is more important is that the oil should not contain metal particles. This can be determined by holding the dipstick in direct sunlight; metal particles will glint in the sun- it also means that the engine has severe internal wear, and may not last much longer. Oil should also not have a burnt smell (a sign of overheating) and it should freely drip off the end of the dipstick. Oil that sticks to the dipstick is old, excessively oxidized, and full of sludge, and it has very little lubricity. Inspect the underside of the oil filler cap for the presence of a milky white emulsion: if this is present, no matter how little of it, there is coolant in the oil and a sure sign of internal water leaks, more often than not through a damaged cylinder head gasket. If on the other hand, the cap appears to be too clean, i.e. 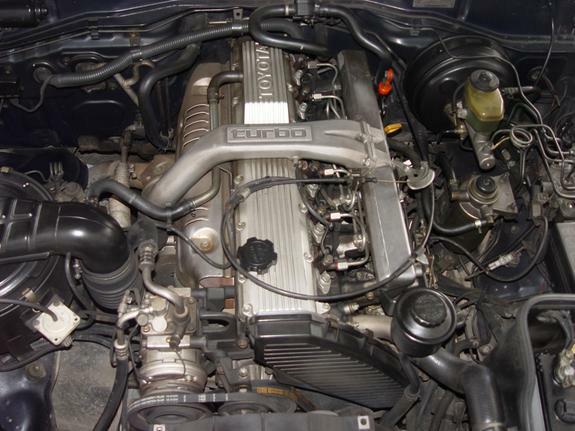 recently wiped, the chances are that the seller is attempting to hide the fact that there is coolant in the oil. Insist on a definitive test to determine the oil to be free from coolant. Although lack of a service record is not necessarily a sign of poor maintenance, a proper service record is proof of regular servicing. Service records should also contain invoices and work orders for all other types of repair and maintenance work that the seller has had performed on the vehicle. 4WD vehicles require a lot of maintenance: if the vehicle is more than a few years old and the record does not contain proof of at least brake repairs and replacements, wheel-bearing service and replacement, regular oil changes and the like, chances are the vehicle is not as reliable as the seller is making it out to be. 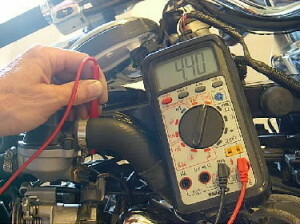 The correct voltage, at which the alternator charges the battery (ies), varies between 14.2 and 14.6 Volts. The seller should confirm or check this by a simple multi-meter test, and insist the seller performs this test; over- or under charging will destroy any battery in very short order. It may be too much too expect a used 4×4 vehicle to sport a brand new battery: however, the installed battery should start the vehicle without trouble, and there should be no bulges, cracks, or other visible defects on the casing. Nor should there be an acid build-up around the poles, or signs of the seller having removed such a build-up in the recent past. Acid build-up is a sign of microscopic cracks in the casing around the poles and if electrolyte can get out, water and other contaminants can get in. Wiring should be neat and properly insulated and fastened to prevent chafing. Loose, frayed, exposed, and “tatty” wiring is a sure sign of poor maintenance and care of a vehicle. Check that the wiring to all accessories such as extra driving lights, secondary batteries, freezers, and iceboxes forms part of the main wiring harness, and that correctly rated fuses and relays properly protect them. 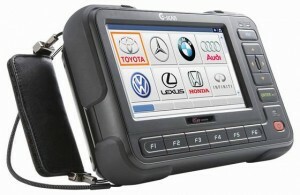 Ask for the user manual for the used 4×4 vehicle, or if one is not available, obtain one from the internet. Use this manual to turn on everything for which the manual indicates a warning light; pay particular attention to the lights indicating the engagement of 4WD mode, low range, and all driver assist and safety systems. A warning light that does not light up may involve a lot more than just a blown the bulb: the bulb may be fine; the problem might be that an entire safety critical system does not work. Turn on everything that uses electricity and check the correct functioning of all systems and gadgets: fully functional electrical systems are of critical importance, especially during overland expeditions in Africa, where there are no repair facilities. There seems little point in spending an entire day working through this checklist only to find at the end of it that several safety and/or driver assist systems are defective. Thus, at this point, it may be a good idea to let a reputable workshop run a comprehensive diagnostic test if the used 4×4 vehicle has an onboard diagnostic system. Almost all off-road vehicles that are less than 10 years or so old use sophisticated electronics to control the fuel and engine management systems. While some systems can operate flawlessly for years even with illuminated warning lights, others like the Stability Control, Traction Control, Rollover Warning, Airbags, Electronic Brake Distribution, Autonomous Braking, and others, need dangerous situations before they will work- or not. Since no seller will allow the mistreatment of his vehicle to test these systems, a full diagnostic check to test the health of these systems is the only way to find out if they are still operable. There should be no visible damage of any kind to the radiator: knowledgeable persons should assess any dings, dents, signs of previous repairs and/or damage, or negotiate a replacement of the radiator as part of the sale. Hoses must be clean, free of damage and feel firm to the touch: any sign of swelling, or the presence of oil on the hoses is a sure sign of poor maintenance and care. Oil will eventually destroy rubber hoses, and oil on the hoses indicates the presence of a serious oil leak, no matter how clean the engine appears to be. 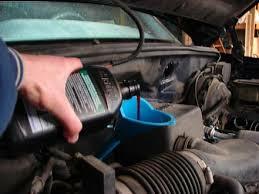 Coolant should be clear (free from rust) and reflect the presence of anti-freeze. Any cloudiness, oil on the surface, presence of a milky white emulsion, smell of exhaust gas, or the presence of anything that does not give the coolant the appearance of being anything other than clean water, is suspicious. After the engine has warmed up and the temperature gauge registers operating temperature, test the circulation of the coolant by touching both the hoses (CAREFULLY!) 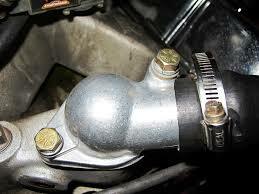 leading to and from the radiator; both hoses should be at the same temperature. A significant difference means that either the thermostat does not function correctly or is not present, or there is some type of obstruction inhibiting the free circulation of the coolant. It may not be possible to determine the grade and viscosity of gear oil just by looking at it, however, insist on looking at a sample of whatever is in the transmission: it should be clear, free of metal particles, water, and other contaminants. Also, insist on having the oil levels checked, regardless of whether the transmission is leaking oil or not. During the test drive, the transmission should be silent in all gears and at all speeds. There should be no whining, grating between gears, or other mechanical noises. Africa has virtually no transmission repair facilities north of the Limpopo River: therefore be sure about the efficient and correct working of the transmission before signing anything. All gearshifts should be smooth at all speeds. Gearshifts can be difficult even in the absence of any mechanical noises: difficult gearshifts invariably mean trouble of some sort, either from the clutch or incipient internal mechanical issues. The transfer case should engage smoothly and not jump out of engagement under sudden acceleration. There should also be no whining, grating, or other mechanical noise from it while it is in operation. Transfer cases usually have their own oil supply, so insist on having the oil level checked at the same time the transmission oil is checked. Experienced off-road drivers know when 4WD mode is in operation, even in the absence of warning or indicating lights; if there is any doubt about whether the system is working or not, insist on having it checked and assessed by knowledgeable and experienced persons. The problem (if there is one) could be anything from a sticky free-wheel hub, to a broken transfer case, to defective software and/or wiring, and electronically controlled actuators on vehicles with push button 4×4 activation. A low range gear set is a pre-requisite for serious off-road driving, especially in Africa: if there is doubt about the correct working of the low range, insist on having it assessed by knowledgeable persons. On transmissions that allow for the checking of fluid levels, follow the instructions in the user manual since procedures, and the interpretation of dipstick markings do not permit guesswork. ATF, or Automatic Transmission Fluid, is always red in colour, even though the formulations differ: the fluid on the dipstick should be clear, not sticky and about the consistency of milk when it is hot- the fluid, not the milk. Cloudy fluid is old, dirty, and oxidized, and a sign of poor maintenance and care. There should be no whining, grating, or other mechanical noises in any gear, at any speed. 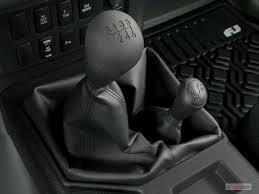 Gear shifts (up and down), should be smooth, silent, and free from any harshness. Nor should there be any hesitation when pulling off from standstill, or any need to force the transmission to shift by releasing the accelerator pedal. This sort of problem is common in modifications that mate automatic transmissions to engines and final drives that do not match the internal gearing of the automatic transmission. Assuming the seller has retrofitted the automatic transmission with a low range, have the modification checked and assessed by experts in the field of transmission modifications. The failure of the system could conceivably be resolved in South Africa; however, Africa has even fewer repair facilities for automatic transmissions than manuals. Exercise extreme caution when contemplating buying a used 4×4 vehicle with this type of modification, and avoid the vehicle altogether if there is any doubt about the durability of the modification. As in the case of a manual transmission with part time 4WD, have the system checked and assessed by knowledgeable persons, especially if activation of the system is my means of push buttons or switches. The purpose of the assessment is to determine that the correct voltages reach all actuators, since low voltages are just as harmful as voltages that are too high. The clutch should start to engage at around the midway point of pedal travel, with no slippage, shuddering, or mechanical noises of any kind. Nor should it suddenly engage with a jerking motion: engagement should be smooth and progressive. Pedal movement should be smooth, comfortable, and not hard. Hardness of the pedal in a hydraulically operated clutch indicates a damaged pressure plate that only a properly equipped workshop can replace as part of a clutch kit, in a procedure that requires removal of either the engine or the transmission. Whining noises when the pedal is depressed indicates a damaged thrust, or throw out bearing, while a rumbling, or rattling noise with the engine running and the clutch pedal at rest, indicates damaged transmission input shaft bearings, an issue that is even more expensive to repair than replacing a clutch kit. Pay particular attention to the colour of the brake fluid in the clutch fluid reservoir: it should be clean and the colour of straw; dirty, or even black, fluid is a sure sign of poor maintenance and care. Brake fluid absorbs water from the atmosphere and causes rust throughout the system, and failure to replace it at least one a year can cause fluid leakage past the internal seals in master and slave cylinders. While leaks may not be immediately obvious, removing the protective rubber boot around the push rod end of the slave cylinder might show evidence of a leak. Repairs are generally not expensive; however, make sure there are no clutch fluid leaks before embarking on any off-road excursion, since the loss of a clutch could potentially cause the loss of the vehicle, especially in Africa, where the fuel required to tow a broken down 4×4 vehicle for a few hundred kms may not be available. Checking the oil level in a differential on a used 4×4 is not enough: check the oil for the presence of water. Contact with cold water during water crossings causes the air inside the differential to cool down, and as a result, water enters the differential past the side shaft seals. Water in the oil causes rust that damages gear teeth and bearings, compounding the problem of the already reduced lubricity of the oil because of water contamination. Any whining, rumbling, or other mechanical noise from a differential is a sure sign of damage to that differential. Differentials on used 4×4 vehicles may not be perfect, but there should be no noises coming from them, mechanical or otherwise. Oil should be clear and free of metal particles larger than what one normally finds on the magnets built into drain and filler plugs, which is no more than powdery in substance. Larger, solid particles mean that chunks have broken off gear teeth, and repairs in these cases are not optional- they are required. Oil leaks on differentials are not always visible: oil might be leaking past side shaft seals behind the brake drums. Removing the wheels and brake drums is the only sure way to inspect these seals for leaks: as well as the condition of the brake linings and other components that are not usually available for inspection. While it is possible to test the working of the diff locks by driving the used 4×4 vehicle in a straight line on a hard surface, damage to differentials could very easily result. Insist on driving the vehicle to an area with a loose, sandy surface to test the diff locks, as well as the 4WD mode, transfer case, and low range, without the possibility of damage occurring to anything. There should be no visible damage to the drive shafts: dents, dings, and deformations cause imbalances that are damaging to differentials and transmissions. 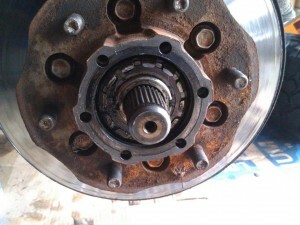 Centre bearings should be intact, and offer some resistance to sideways movements of the drive shaft. Universal joints should have no free play at all: but while some free play is usual on a used 4×4, excessive free play cause imbalances and in some cases, could lead to the disintegration of the U-joint, with potentially disastrous results, especially in much of Africa, where it may be impossible to fine a replacement drive shaft. On drive shafts fitted with CV joints, inspect the protective rubber boots of the CV joints for any signs of damage. Even just a pinhole in a rubber boot could cause the lubricant to spin out under centrifugal force, and if the lubricant can get out, water, dust, and sand can get in, and which under the loads and conditions off-road CV joints operate under, is something all off-road drivers should avoid at all costs. Test-driving a used 4×4 vehicle may reveal vibrations on the drive shaft due to imbalances: however, due to the rugged construction of off-road vehicles, slight imbalances may not manifest. 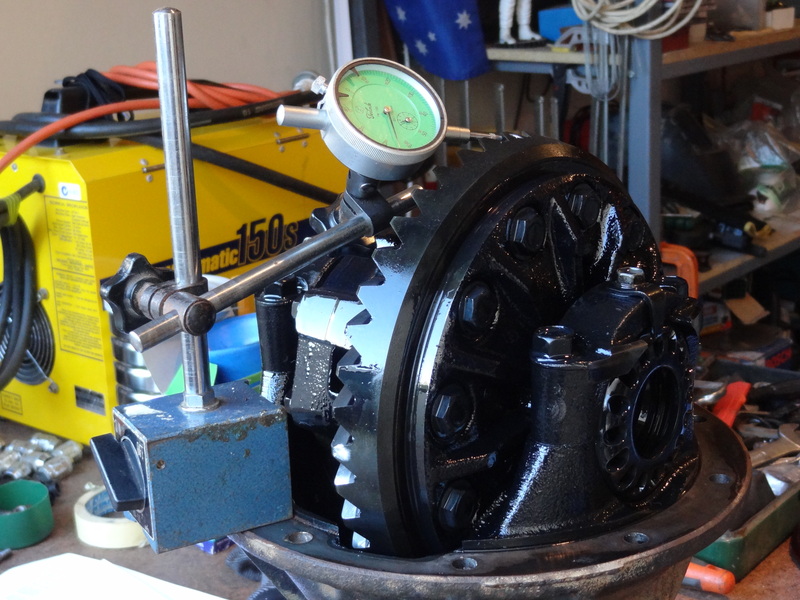 To determine the state of balance of the drive shaft, even in the absence of discernable vibrations, let a properly equipped workshop check it, and rebalance it if required. A brake pedal should have no more than about 25-30mm of free play: more than this amount could indicate under adjusted or worn rear brakes, loose wheel bearings or sticking/binding callipers. 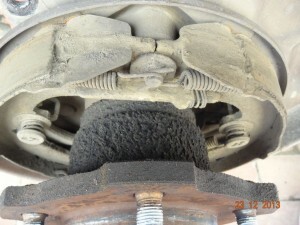 Fluid leaks on brake systems are mostly visible: however, if the pedal sags under constant pressure and there are no visible leaks, there is sure to be an internal leak in the brake master cylinder, or the rear wheel cylinders, where leaks may not be immediately visible. Used 4×4 vehicles will only very rarely have brake discs in perfect condition: however, look out for obvious cracks, fractures, shiny spots (which are indicative of warped discs), and scoring and scratches that are deep enough to snag a finger nail when dragged across the surface. Also check for a deep ridge along the outer edge of the disc; this could indicate that the disc is nearing its minimum legal thickness. Park the vehicle on an incline and engage the parking brake; there should be absolutely no tendency to roll back. 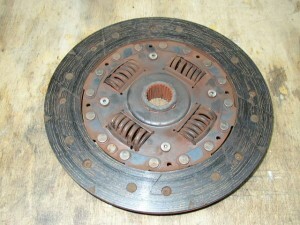 The activating mechanism should also not travel beyond one third to half of its full travel: more than this amount of travel could mean that the brake may not hold the vehicle on an incline when it is fully loaded. There should be absolutely no vibration anywhere on the vehicle when the brakes are applied at any speed, and in particular not on the steering wheel. Slightly warped or glazed discs tend to cause vibrations, shuddering, and fading only when they are hot, so, apply the brakes repeatedly until they are hot before deciding that the brakes are in an acceptable condition. Given the harsh conditions under which 4WD suspensions work, especially in Africa, it is very rare to find a 4×4 suspension in perfect order. However, suspensions have so many moveable parts and bushings of various kinds that it may be easy for someone with no, or limited knowledge of 4×4 suspensions to recognise potential problems and defects. Nonetheless, there are some quick tests buyers can perform to show up any major flaws; minor defects may however not be revealed by these methods. This test requires that someone crawl under the front suspension to a position from where all components are visible. Once in place, an assistant briskly moves the steering wheel from side to side sufficiently to produce movements on the front wheels. This action will reveal any relative movement or free play between components: ball joints, tie-rod ends, drag links, and idler arms should have no free play. Where control arms are fitted (Independent Front Suspensions), this action will reveal sideways, or lateral movement of the control arms on their rubber bushings if these bushings are worn, or damaged. Independent front suspensions fitted with torsion bars are prone to sagging on one side if a torsion bar had suffered damage or severe impacts: there are two ways to establish if this has happened on a used 4×4 vehicle. 1) Check the adjustment points under the vehicle: under normal circumstances, the angles of the brackets through which the adjusting bolts pass are the same, relative to the underside of the vehicle. Any significant or even noticeable difference in these angles means that someone had over adjusted one torsion bar-for one of several reasons. Since the adjustment of torsion bars has a direct bearing on wheel camber and over adjustment invariably leads to uneven tyre wear, the combination of excessive wear on the outside shoulder of the tyre, and uneven adjustment angles indicates a damaged torsion bar. Off-road driving conditions in Southern Africa, or the rest of Africa, are such that a damaged torsion bar will very likely break, with virtually no chance of finding a replacement. 2) The torsion bars on a vehicle at rest will always be straight: however, to double check, move the vehicle to a level surface and use a tape measure to measure the distance from the surface to the edge of the wheel arch. If visual inspection confirmed that both torsion arms are straight, and that the adjustment angles are the same, but there is a measurable difference in the ride height of one side relative to the other, the lowest side has a damaged torsion bar. Of course, this test requires all tyres and wheels to be identical in all respects, that tyre pressures are the same, and that the vehicle is not loaded. The “bounce” test is less than reliable: the rugged construction of 4WD suspensions makes it impossible to judge the condition of shock absorbers by bouncing the vehicle up and down. At any rate, worn or damaged shock absorbers when taken in isolation should not necessarily disqualify a used 4×4 vehicle from consideration. Given what shock absorbers do, it is unreasonable to expect used 4×4 vehicles to have perfect shocks. The appearance of shackle bushes on leaf springs can be deceiving: unless they are visibly worn, or even missing, it is best to have them checked by knowledgeable persons. Even the most rugged leaf springs lose their tension over time: if there is doubt about the condition of leaf springs, have the springs assessed by a suspension specialist. While leaf springs may appear to be fine, the severe off-road conditions in Africa will soon show up their shortcomings; which is when it is too late to do anything about it. Coil springs should generally have their coils spaced equidistantly: if this is not the case, and the springs are not of the progressive type, the springs have lost their tension and replacement is the only cure, which is part of serious off-road vehicle maintenance and driving in any case. Test-driving a used 4×4 vehicle often shows up suspension defects that are not visible to naked eye inspection: to double check the condition of a used 4×4 suspension, test-drive it over the roughest terrain available and at varying speeds with 4WD mode selected. Knowledgeable persons should investigate any mechanical knocks, noises, or bangs that manifest. 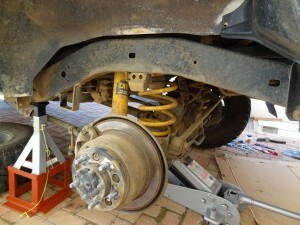 Extensive suspension modifications, for instance, the addition of extra shock absorbers, gadgets that limit spring movement, remote reservoir shock absorbers, more than two extra blades to leaf springs, extensive lifting of the bodywork and the like are best treated with a great deal of circumspection. Using these modifications in the depths of Africa, where there are no replacement parts is ill advised and likely to lead to delays, break downs, accidents and injuries. 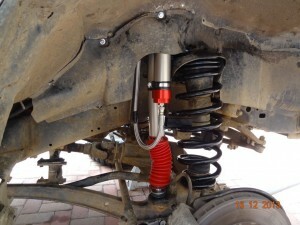 Slight modifications like heavy-duty shocks, or even coil-over shocks, are perfectly acceptable, however, if the used 4×4 vehicle is going to be employed in overland expeditions through Africa, or anywhere else, make sure than no mounting points were altered to fit the after market shocks. The Namib Dessert in Namibia is no place to discover that the shock mounting points were not as secure as they first appeared to be. Free play on the steering wheel should not be more than around 25 mm to either side of the dead ahead position before the steering produces a movement on the front wheels: more than this amount indicates either worn steering or other suspension components. However, excessive free play can be the total result of small amounts of wear in many different places: suspension specialists should investigate the cause of excessive steering free play in cases where no clear, unambiguous cause is apparent. A slight whining sound in some power steering pumps is normal and acceptable: however, the sound should not be obtrusive or change with varying engine speeds. Dirty (brown to blackish) steering fluid combined with a loudly whining pump is a sure sign of a damaged pump. Depending on whether the pump is belt driven, or driven directly from the engine, repair costs can vary from high to astronomical. If in doubt, let knowledgeable persons assess the pump. All power steering components, especially hoses, should be free of leaks: high-pressure power steering hoses on older used 4×4 vehicles have invariably hardened over time due to exposure to high engine temperatures and can fail unexpectedly, with possible disastrous consequences, particularly when negotiating something dangerous, like for instance, the Sani Pass in Lesotho, in South Africa. Wheel bearings with excessive free play are not necessarily noisy: physically check bearing free play by lifting the vehicle off-road the ground and applying force to the wheel at the 12 and 6 o’clock positions. Very slight movement is acceptable but play of more than 1 or 2 mm at the top and bottom edges of the wheels is approaching too much play. Most wheel bearings are adjustable, provided the bearings are not noisy when the wheels are spinning freely, in which case replacement is the only remedy. There should be no sign of wheel bearing grease anywhere: any seepage is most likely the result of overheated brakes, which does not only destroy brakes; it destroys wheel bearings as well. Used 4×4 vehicles usually have worn tyres; however, check that the tyres have worn evenly across the full width of the treads. Irregular wear patterns could indicate any, or a combination of a myriad of suspension and steering problems, many of which are difficult and expensive to fix. Check that all the tyres, including the spare, are of the same make, size, width, and construction. Different tyres give different handling characteristics and using some tyre combinations on the same axle could have dangerous, if not fatal, results. A gas tight exhaust system is not only a legal requirement- driving in the heat of Africa with the windows closed and the air conditioner on with a leaking exhaust is positively dangerous. The toxic components of exhaust gas are tasteless, cannot be detected by smell, and prolonged inhalation of exhaust gasses is sometimes fatal. Hardly any used 4×4 vehicles have perfect exhaust systems; however, missing and broken exhaust hangers increase the chances of an exhaust system developing leaks. Check the inside of the tailpiece for evidence of oil residue, and/or thick, powdery carbon deposits caused by incomplete combustion processes. While exhaust smoke may not be visible, long time accumulations of these deposits are a sure sign of an engine nearing the end of its useful life, which the demands of the off-road conditions in Africa might bring on sooner than expected. Exhaust systems should always consist of the same diameter tubing. Different sized tubing in a used 4×4 vehicle is a sure sign of poor maintenance and care, and it can lead to reduced engine performance. Rust and corrosion is common on used 4×4 vehicles, however, rust perforations in the bodywork is not acceptable. The general condition of the carpets can sometimes be a more accurate indicator of a used 4×4 vehicle’s age and general condition than the mileage reflected on the speedometer: excessively worn carpets and seats are sure signs of a vehicle that has worked hard, no matter the ridiculously low mileage on the speedometer. Conversely, new carpets and seats on a high mileage used 4×4 vehicle is sufficient reason to inspect it even more closely for hidden faults and defects. The condition of seat belts is another good indicator of a used 4×4 vehicle’s general condition: few experienced off-road drivers do not use their seatbelts; thus, the more wear on the seatbelts, the more the vehicle was driven in harsh conditions. Carefully compare the condition of the seats, carpets, and seatbelts with other vehicles with similar mileages and histories: there should be some sort of correlation between the interior of the used 4×4 vehicle and its purported mileage. Spit and polish can make any used 4×4 vehicle look good: some sellers understand the art of making even clapped out wrecks look presentable and first time buyers might easily fall for some of the tricks of this trade. However, the harsh demands of off-road and 4WD driving in South Africa, and the rest of Africa for that matter, are such that buyers of used 4×4 vehicles should take into account more than just general appearance when considering buying a used 4×4 vehicle. Even relatively new and low mileage 4×4 vehicles might suffer from very serious defects and since life and limb could be lost in the hinterland of Africa because of an unreliable used 4×4 vehicle, this checklist will go a long way towards making sure that does not happen.